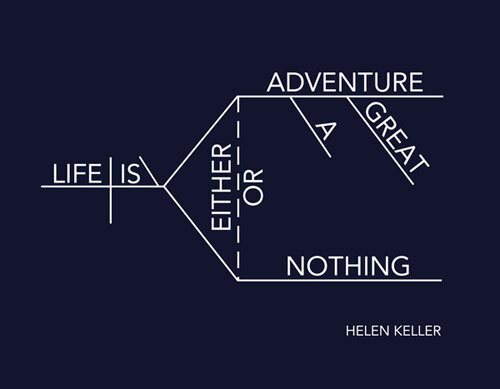 Helen Keller was a remarkable and inspirational human being. If you haven't read The Miracle Worker, you should! Helen Keller was deaf and blind. Her teacher, Anne Sullivan, broke through to Helen and gave her the gift of language. This breakthrough completely changed Helen's life and the lives of all those around her. 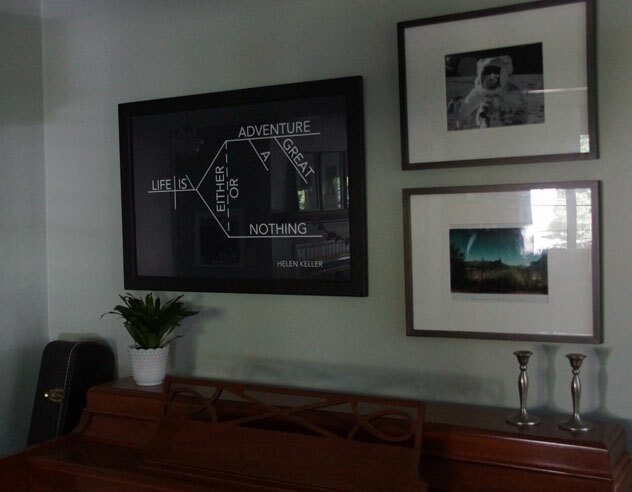 When David and I moved into our house, I knew that I wanted to have a meaningful quote diagrammed on the wall. This Helen Keller quote is perfect! It reminds me of my love of language, the importance of education, and the difference that one person can have in another's life. If you like the quote and would like the poster for your own wall, follow these easy steps. Step 2: Use the link below to download the image file. It will open in a new window. After it opens, you can save it onto your computer by clicking "File" --> "Save As." The file is named Helen_Keller_Grammar_Revolution.png. Be sure to save it somewhere on your computer that you can find again. Step 4: Order a size print that will fit your fame. Prints are usually ready to pick up in about an hour. Step 5: Pick up your picture, put it in your frame, and enjoy! (Optional) Step 6: If you do this, I would love to see where you hang it! Snap a picture and send it to me or share it on our Facebook wall or Twitter feed.